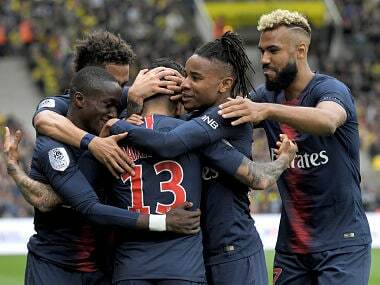 Paris: Radamel Falcao scored a brace as French champions Monaco romped to a 4-0 thumping of Lille at the Stade Pierre-Mauroy on Friday to pile the pressure on home coach Marcelo Bielsa. Stevan Jovetic and Rachid Ghezzal put Monaco in control at half-time with their first goals for the club since joining from Inter Milan and Lyon respectively. The in-form Falcao piled more misery onto the hosts with a second-half brace to reach 11 league goals for the season. 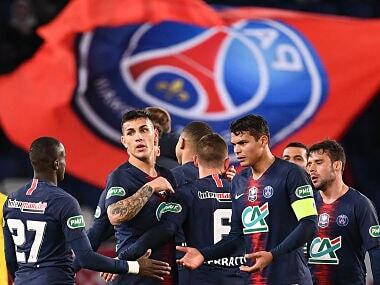 Monaco move level on points with early leaders Paris Saint-Germain, who visit Montpellier on Saturday, while Monaco will turn their attentions to Tuesday's Champions League clash with Porto. "Now is the moment to prepare for the match with Porto. For us, the next match is always the most important," said Monaco coach Leonardo Jardim. "Winning 4-0 at Lille, it's a great result." 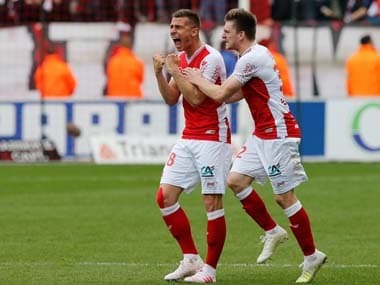 New Lille coach Bielsa is under increasing pressure, as his men are now winless in six matches since their opening-day victory over Nantes, a run during which they have only scored once. The Argentinian had insisted earlier in the week that he would not walk out on the club like he did at Marseille two years ago, but his team's pitiful display could test his resolve. Monaco started on the front foot against a Lille outfit shot of confidence. After winger Rony Lopes had gone close, former Manchester City striker Jovetic grabbed the opening goal in the 24th minute. The Montenegrin international created space for a shot with a clever turn, before picking out the bottom corner from the edge of the box for his first goal for Jardim's men. It didn't take long for another close-season signing to get off the mark for the principality outfit, as former Lyon winger Ghezzal made it two six minutes later. Full-back Almamy Toure, playing in place of the suspended Djibril Sidibe, burst down the right-hand side and picked out the onrushing Ghezzal, who slammed the ball past home goalkeeper Mike Maignan. A hapless Lille finally had a shot in anger on the stroke of half-time, as Luiz Araujo fired wide. That effort proved to be a false ray of hope though, as Monaco captain Falcao became the first player to reach 10 goals in any of Europe's top five leagues this season just three minutes into the second period. The Colombian showed his predatory instincts by meeting a rebound in the area with a bullet header into the back of the net. Lopes had a shot well saved by Maignan after Falcao's clever knock-down, before the former Manchester United flop converted a penalty to add further gloss to the scoreline. The 31-year-old has now scored two or more goals four times in his seven league games so far this term. In Friday's first match, Mario Balotelli scored his sixth goal of the season in all competitions as Nice fought back from two goals down to draw 2-2 with Angers at the Allianz Riviera. The visitors forged ahead thanks to first-half goals from Mateo Pavlovic and Karl Toto Ekambi, but Balotelli's spot-kick and Ismael Traore's comical own goal handed Nice a point. PSG will take on Montpellier without the injured Neymar for the first time since the Brazilian's world record move from Barcelona, as they look to make it seven wins from seven to kick off the campaign.